Liberal MP Raj Grewal rises in the House of Commons in Ottawa on June 3, 2016. Raj Grewal's sudden resignation as a Liberal MP was prompted by a gambling problem, according to the Prime Minister's Office. Grewal, who represented the riding of Brampton East, announced his immediate resignation Thursday, citing unspecified personal and medical reasons. Former Liberal MP Raj Grewal’s gambling activities at a casino across the river from Parliament Hill attracted the attention of law-enforcement authorities, including the federal agency that tracks large financial transactions, before he abruptly resigned from his seat of Brampton East, a federal government source said. 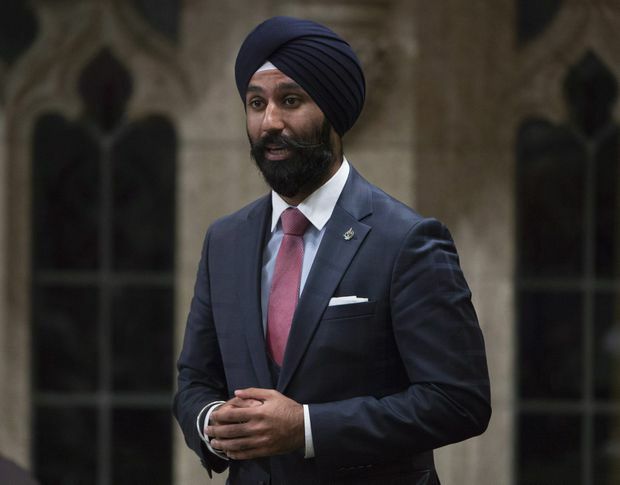 The Prime Minister’s Office announced on Friday that Mr. Grewal was resigning from the Liberal caucus and his seat in the House of Commons over a gambling addiction and significant debts. In addition, the PMO said it was aware that the RCMP had made “inquiries” in relation to Mr. Grewal. The federal government source, who was granted anonymity to discuss confidential information related to the matter, said the Financial Transactions and Reports Analysis Centre of Canada (FINTRAC) and the RCMP have been looking into Mr. Grewal’s gambling activities, including his regular forays at the Casino du Lac-Leamy in Gatineau. One of the questions of interest for the RCMP is the provenance of the money used as part of Mr. Grewal’s gambling activities, the official said. Earlier this year, the NDP asked the Ethics Commissioner to investigate whether Mr. Grewal violated the conflict-of-interest code for bringing a business associate with him as part of Prime Minister Justin Trudeau’s delegation to India. The commissioner’s findings in this case have yet to be published. Mr. Grewal announced his resignation on Thursday in a Facebook post, referring to “personal and medical reasons” to explain his move. “This has been a decision I’ve struggled with for some time now and one I made with great difficulty and real sadness. But I feel I need this time to focus on my health and family,” he said. On Friday, the PMO provided further information about the case, based on the information that was volunteered by Mr. Grewal. “Earlier this week, Mr. Grewal told us that he is undergoing serious personal challenges, and that he is receiving treatment from a health professional related to a gambling problem that led him to incur significant personal debts,” PMO spokeswoman Chantal Gagnon said in a statement. “Based on these circumstances, we agreed that his decision to resign as Member of Parliament for Brampton East was the right one. We hope he receives the support he needs." In addition, Ms. Gagnon said the PMO was aware that the RCMP had been looking into the matter that was the subject of the complaint to the Ethics Commissioner about Mr. Grewal earlier this year. Mr. Grewal did not respond to a request for comment on his personal e-mail. The RCMP refused to comment and would not confirm or deny that it is investigating Mr. Grewal. In an interview, NDP MP Charlie Angus said he wants the Ethics Commissioner’s findings to be made public regardless of Mr. Grewal’s resignation. The Conservative Party said it did not have any comments to make on Mr. Grewal’s resignation. Mr. Grewal is a 33-year-old lawyer who also holds an MBA. He was first elected to the House in the 2015 general election. His resignation will create a fifth vacancy in the House of Commons. While NDP Leader Jagmeet Singh has represented a part of Brampton at the Ontario Legislature, he said on Friday that he will continue with his bid of winning a seat in a by-election in Burnaby South in British Columbia that is expected to be called in January.